I made a minecraft world a few days ago, and I noticed that the dirt blocks that I put down never grew into grass blocks. It's touching other grass blocks and it is outside in the sun. Why is the grass not growing back? There are a couple of potential causes for this. The requirements for grass to grow have, from your screenshots, all been met. There is enough light and grass around for the grass to spread naturally. Sometimes one or two blocks might be a bit defiant, and refuse to spread, but with the amount you have, this is unlikely. The only other thing is that the area needs to be loaded. Chunk Loading means that if you are not in the area (for example, you might be in the Nether), that area is not loaded - which means all activity stops. Your crops don't grow, sheep don't regrow their wool, and the grass does not spread. 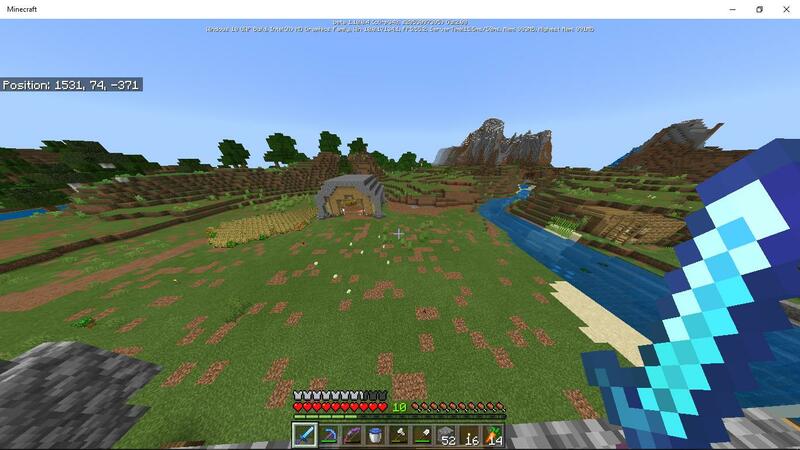 Coarse Dirt was added in version 1.7, and is almost identical to normal dirt blocks, save for a mildly different pattern, and the fact that grass will not grow on these blocks. 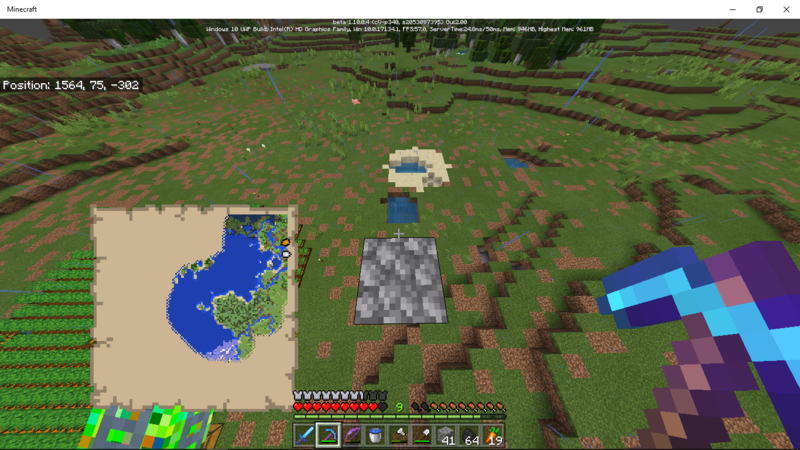 However, if you use a hoe on these blocks, it will change it into normal dirt blocks (Added in 1.8). Grass can then grow on these blocks. In the comments, you explained that you were not actually in your world for several days, you were waiting outside of it for several days. You have to be in your world and relatively close to the chunk for it to actually load. Other than that, it meets all the criteria for grass to grow (read the "growth" section). So, your grass did not grow because you were not in your world, and the chunks with the grass blocks were not loaded. Go into your world and stay around the general area of those dirt blocks, and they will grow into grass. Not the answer you're looking for? Browse other questions tagged minecraft-windows-10 or ask your own question.